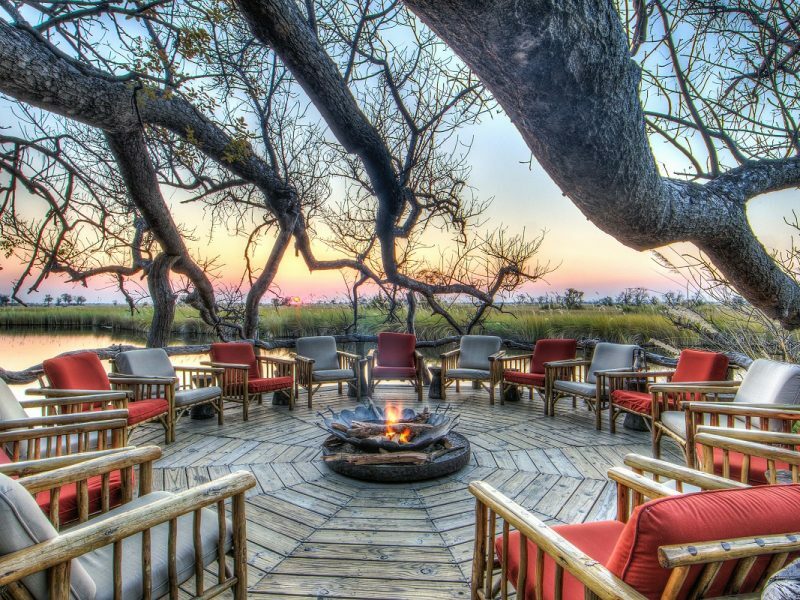 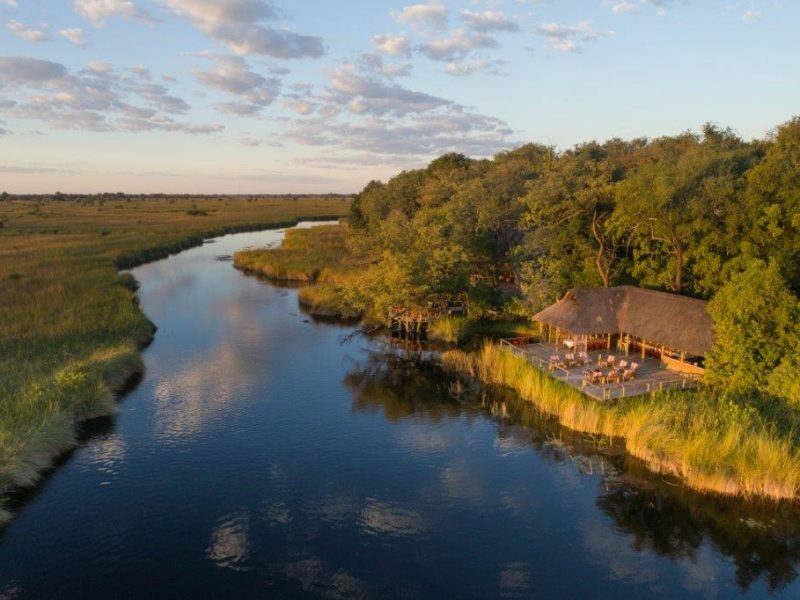 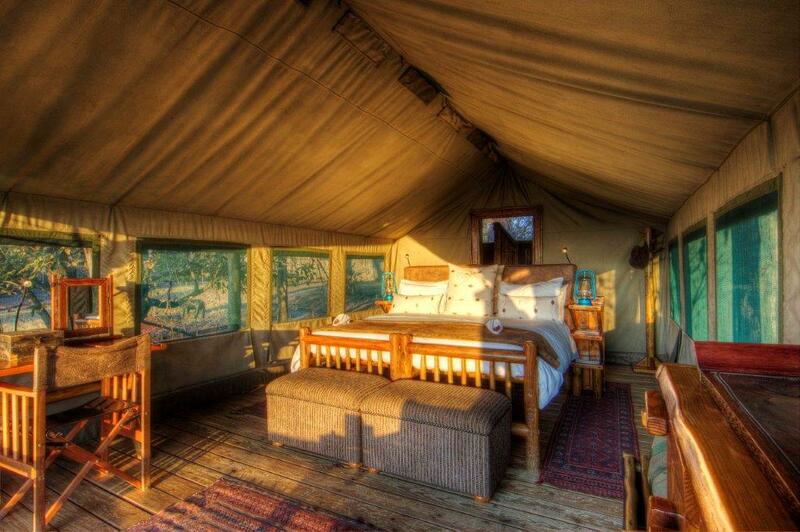 Authentic jewel of the Okavango. 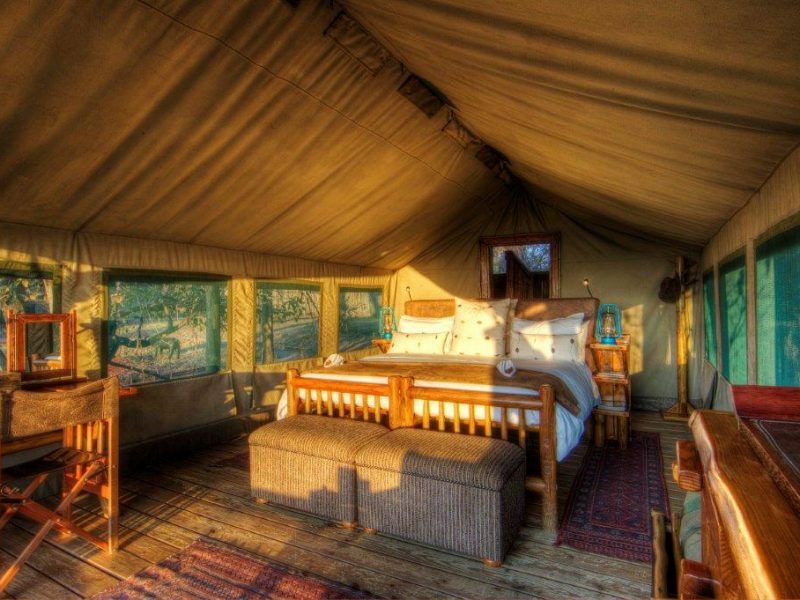 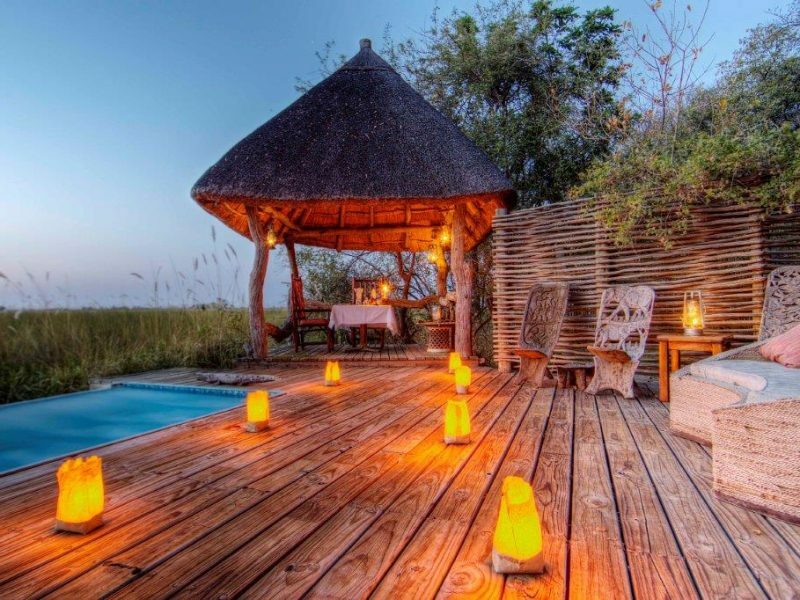 As passionate custodians of one of Botswana’s original safari camps, the owners of Camp Xakanaxa have mindfully created an authentic bush camp that blends harmoniously with nature, whilst providing guests with exceptional comforts and extraordinary experiences. 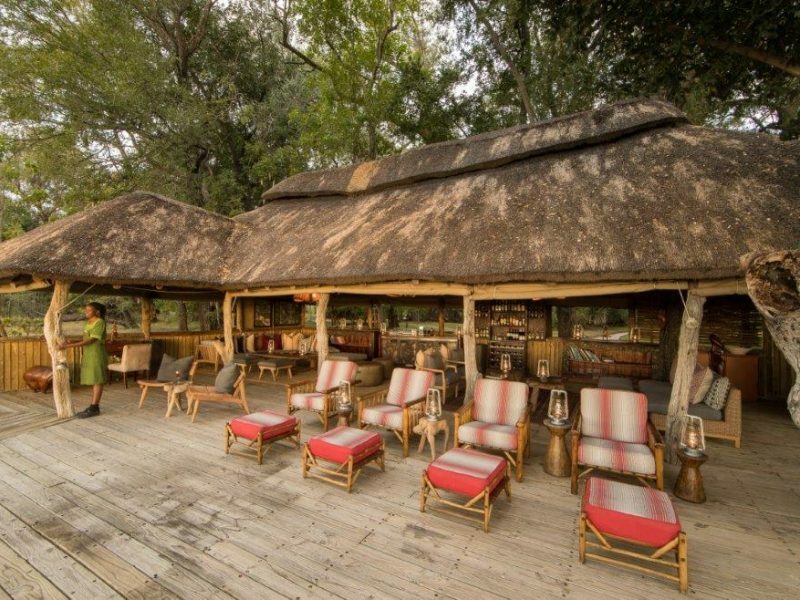 Set on raised wooden platforms under the shade of towering trees, Xakanaxa’s thatched dining room, lounge/bar area, curio shop, fire deck and a new swimming pool provide a restful sanctuary with magnificent river views. 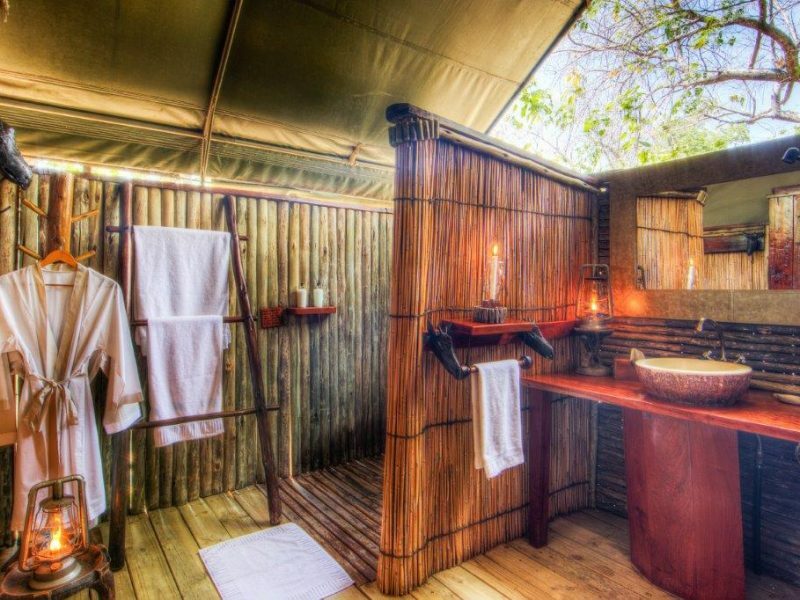 Accommodation for 24 guests is in twelve spacious and tastefully furnished tents with twin or double beds and en-suite showers, hand basins and toilet facilities. 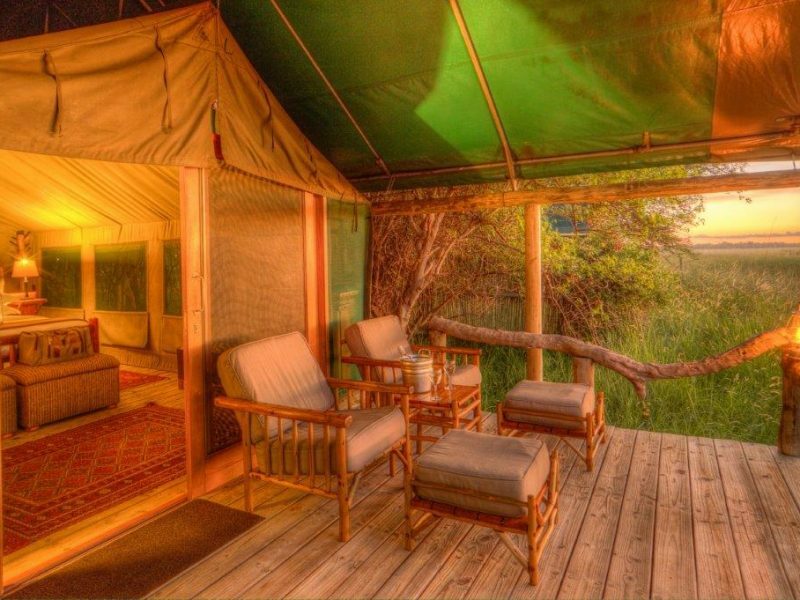 Situated on the fringes of the lagoon, each tented suite has a private viewing deck with comfortable loungers. 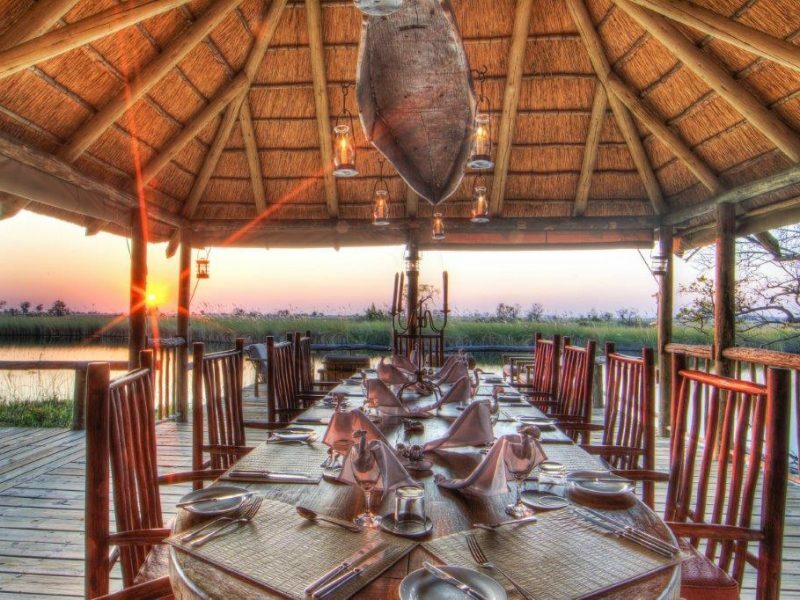 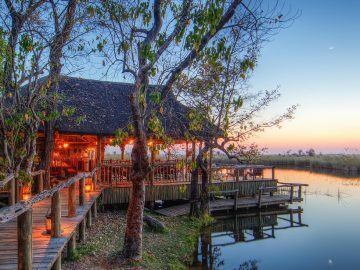 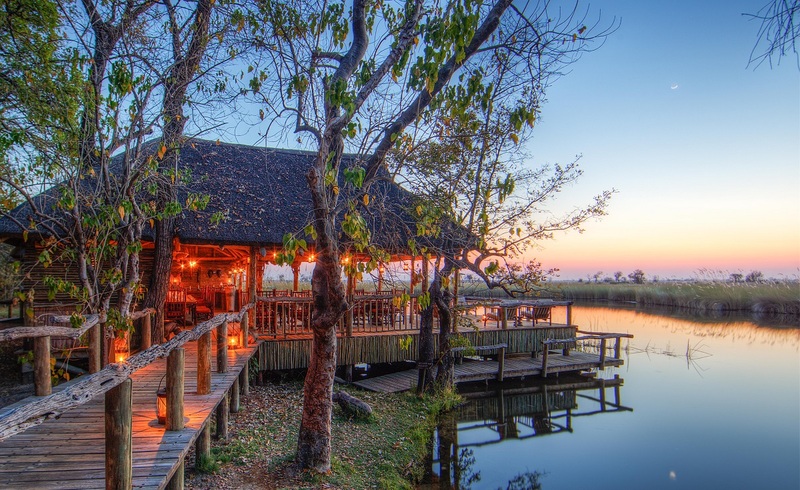 Located in the heart of the Moremi Game Reserve, the camp is set on the banks of the pristine Khwai River that overlooks the Xakanaxa Lagoon. 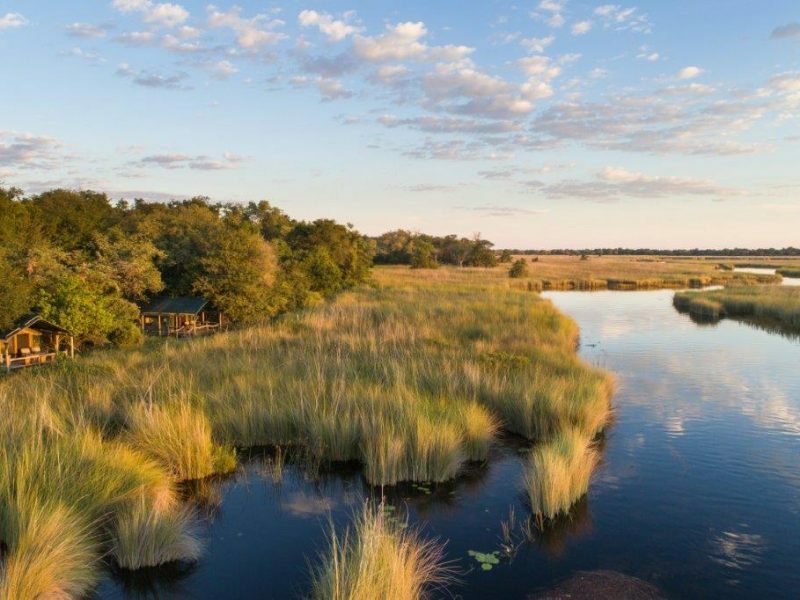 The ancient riverine forests, open savanna, serpentine channels as well as seasonal floodplains which surround the camp, make for a varied habitat of exceptional fauna and flora. 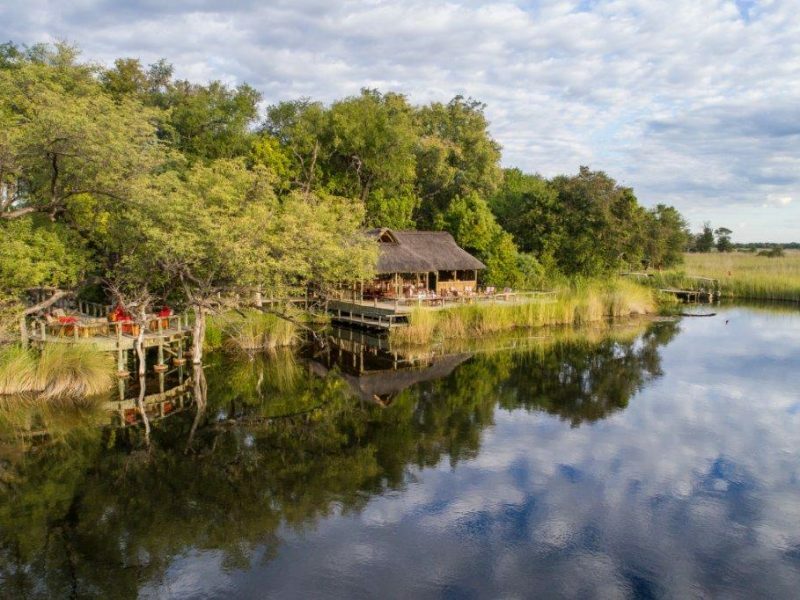 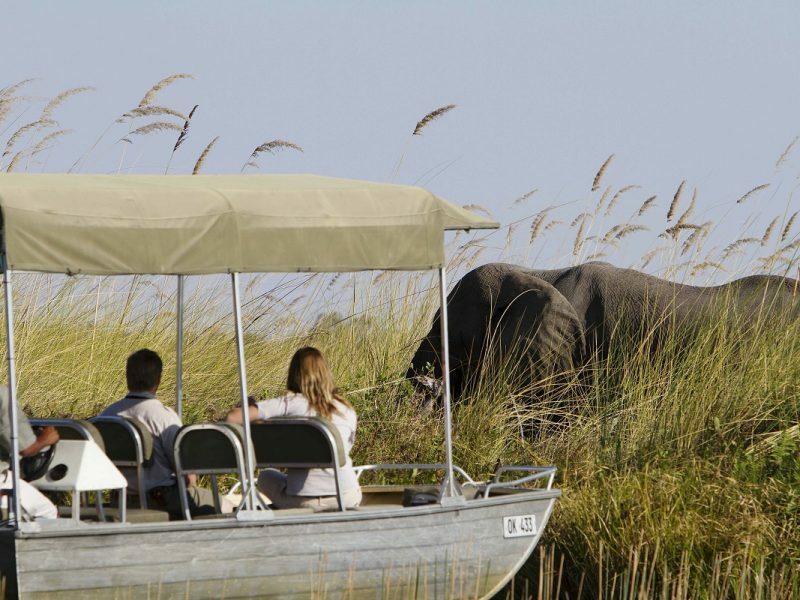 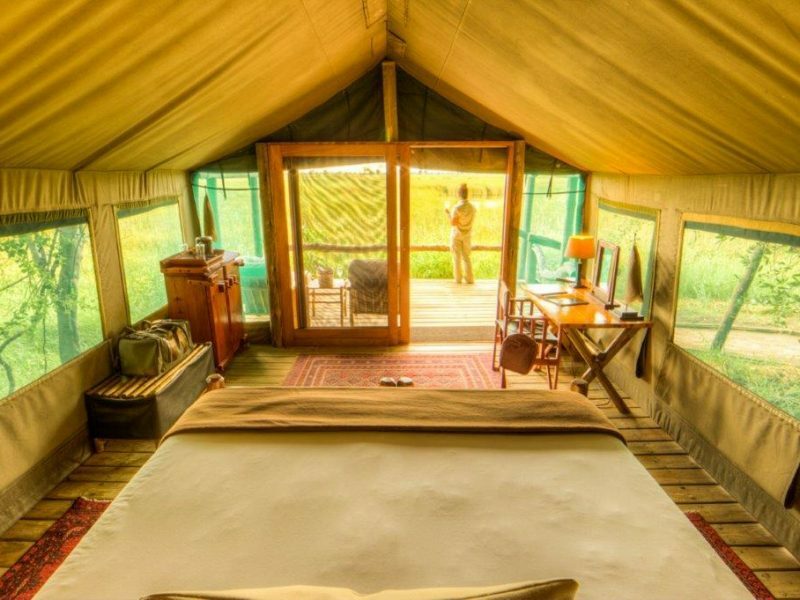 The camp is one of few offering a year-round land and water game viewing experience in open land rovers, powerboats or dug-out canoes, known locally as mokoros. 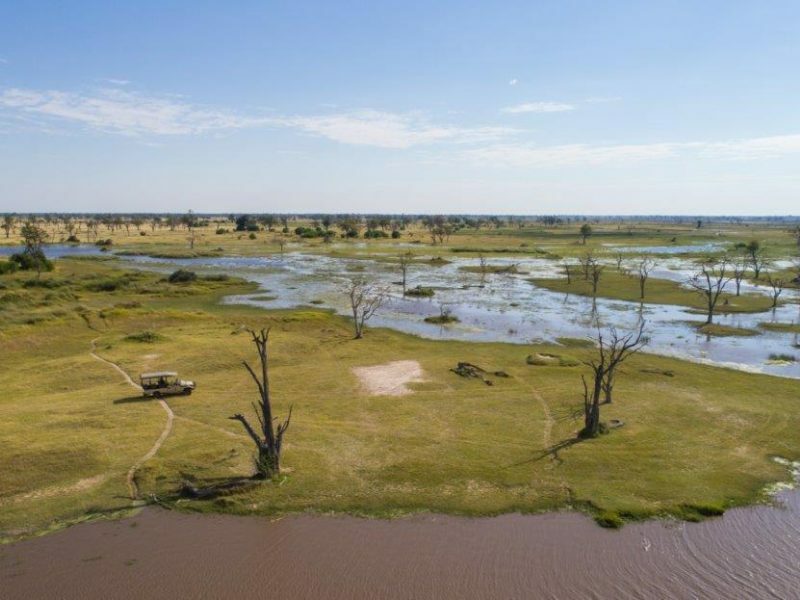 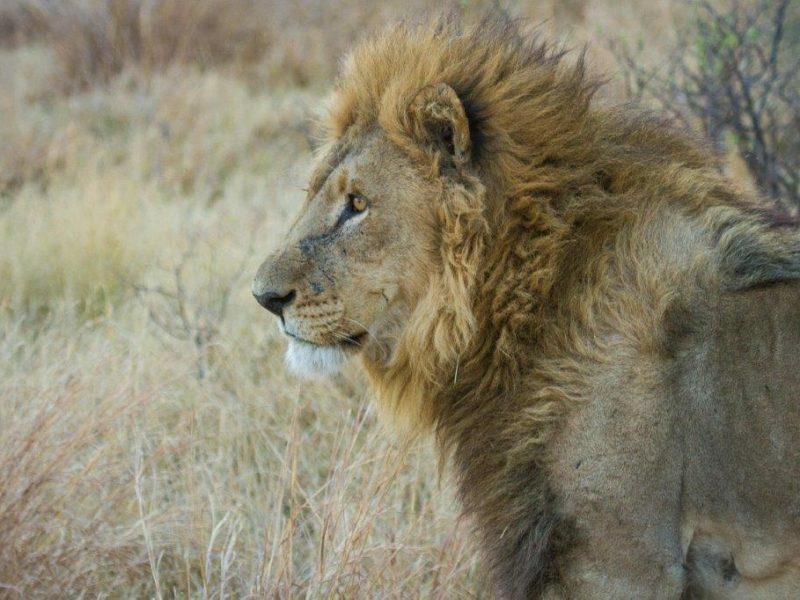 The diverse habitat ensures prolific sightings of elephant, buffalo, wild dog, hyena, giraffe, hippo, wildebeest, kudu, lechwe, lion, leopard and cheetah, amongst others. 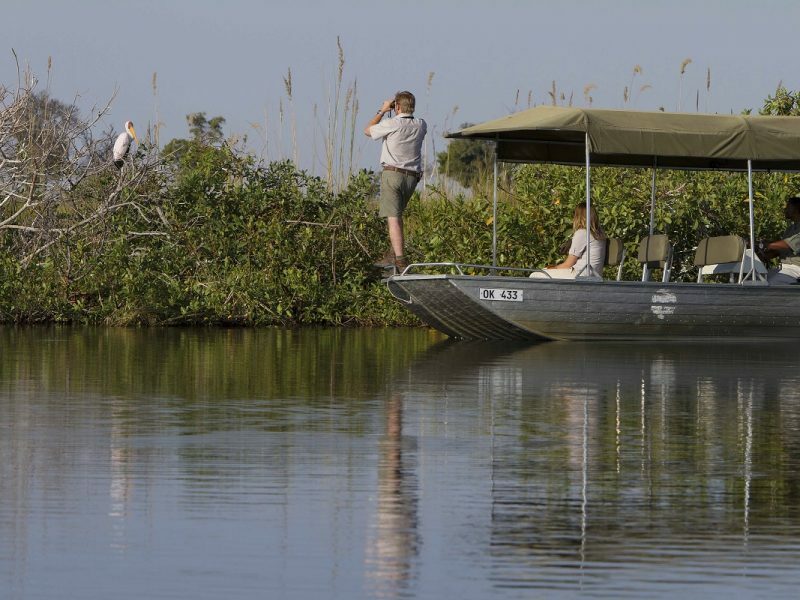 Birding is spectacular especially in the spring and summer months when the migrants are breeding. 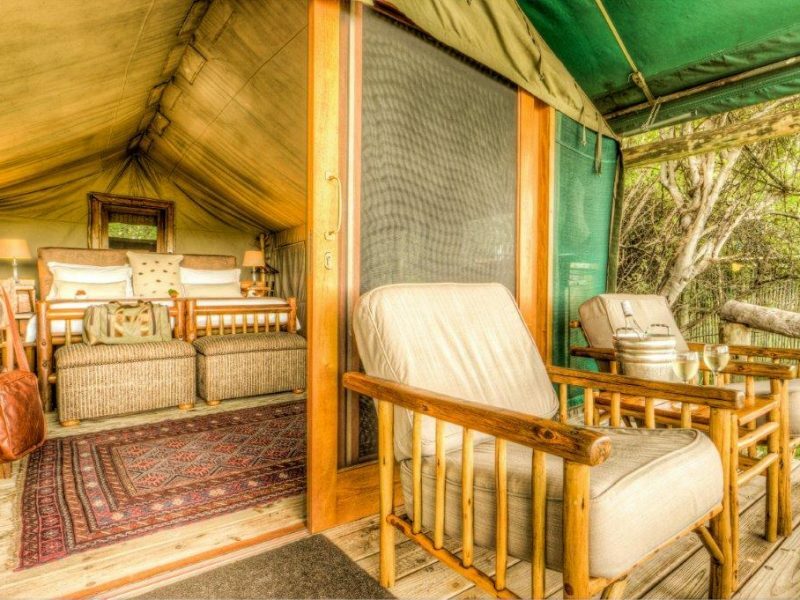 No children 6 years or younger can be accommodated at Camp Xakanaxa.